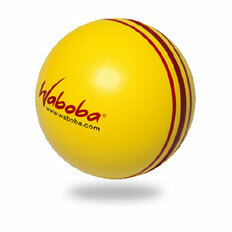 TDmonthly® - New Toys and Games: The Waboba Blast Ball from WABOBA INC.
Other products from WABOBA INC. The Blast is made specifically for pool play with its engineered design to be more controllable and not bounce as high as the Extreme and Pro. Since it's lightweight, softer, and easier to catch, it is suitable for the whole family. — Dean Smith, Co-owner of JaZams in Princeton, N.J., told TDmonthly in a Summer 2011 survey that he sells "about a gross" (144) of Waboba skip balls each month, but it's usually a summer item. 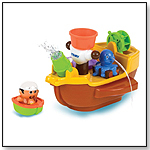 — Michelle Deutschmann, owner of Kaleidoscope Toys in Falmouth, Mass., told TDmonthly in an August 2014 survey that Waboba is their best-selling toy. They sell over 100 each month between two styles of the ball.